Puzzle Mission - Separate the pieces - can you rebuild the Egg of Evolution? 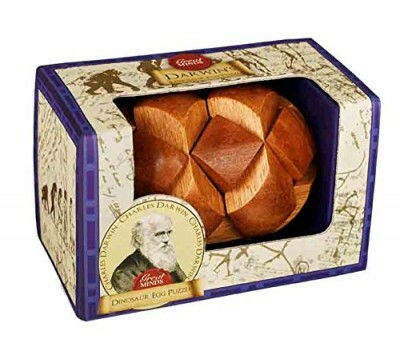 Charles Darwin (1809-1882).The Great Minds' range brings together our favourite puzzles of all time and links each with one of the greatest minds in history. Each Great Mind has been thoughtfully coupled with a relevant puzzle and the products are finished in an antique style to give them an aged look. Every box has information and a brief history of the 'Great Mind' himself and how the man and the puzzle are linked together.